Nashville, August 1920. Thirty-five states have ratified the 19th Amendment, 12 have rejected or refused to vote, and one last state is needed. It all comes down to Tennessee, the moment of truth for the suffragists, after a seven-decade crusade. The opposing forces include politicians with careers at stake, liquor companies, railroad magnates, and a lot of racists who don't want black women voting. And then there are the "Antis" - women who oppose their own enfranchisement, fearing suffrage will bring about the moral collapse of the nation. On August 18, 1920, American women finally won the right to vote. Ratification of the 19th Amendment was the culmination of an almost 80-year fight in which some of the fiercest, most passionate women in history marched, protested, and sometimes broke the law in to achieve this huge leap toward equal rights. 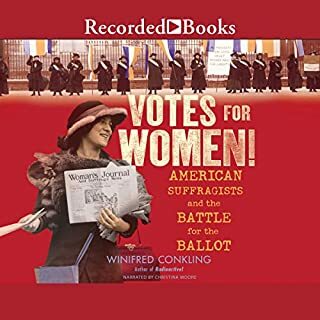 In this expansive yet personal volume, author Winifred Conkling covers not only the suffragists' achievements and politics but also the private journeys that fueled their passion and led them to become women's champions. Amazingly sad scary and informative. In the early 20th century over 200 of New York's most glamorous socialites joined the suffrage movement. Their names - Astor, Belmont, Rockefeller, Tiffany, Vanderbilt, Whitney, and the like - carried enormous public value. These women were the media darlings of their day because of the extravagance of their costume balls and the opulence of the French couture clothes, and they leveraged their social celebrity for political power, turning women's right to vote into a fashionable cause. 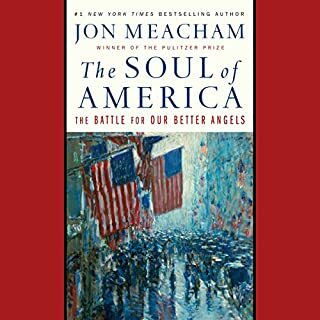 Our current climate of partisan fury is not new, and in The Soul of America Meacham shows us how what Abraham Lincoln called the “better angels of our nature” have repeatedly won the day. Painting surprising portraits of Lincoln and other presidents, including Ulysses S. Grant, Theodore Roosevelt, and LBJ, and illuminating the courage of influential citizen activists and civil rights pioneers, Meacham brings vividly to life turning points in American history. Each of these dramatic hours have been shaped by the contest to lead the country to look forward rather than back. 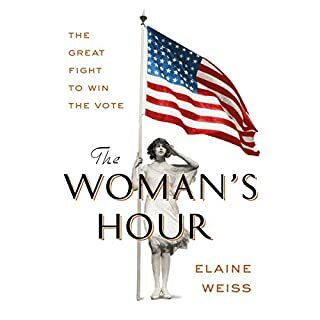 An eye-opening, inspiring, and timely account of the complex relationship between notable suffragist Alice Paul and President Woodrow Wilson in her fight for women’s equality. Woodrow Wilson lands in Washington, DC, in March of 1913, a day before he is set to take the presidential oath of office. Expecting a throng of onlookers, he is instead met with minimal interest as the crowd and media alike watch a 25-year-old Alice Paul organize 8,000 suffragists in a first-of-its-kind protest led by a woman riding a white horse just a few blocks away from the Washington platform. The next day, the New York Times calls the procession “one of the most impressively beautiful spectacles ever staged in this country”. Mr. President, How Long Must We Wait? weaves together two storylines: Paul’s and Wilson’s, two seemingly complete opposites who had more in common than either one could imagine. Paul’s procession led her to be granted a one-on-one meeting with President Woodrow Wilson, one that would lead to many meetings and much discussion, though little progress. With no equality in sight and patience wearing thin, Paul organized the first group to ever picket on the White House lawn - night and day, through sweltering summer mornings and frigid fall nights. From solitary confinement, hunger strikes, and mental institutions to sitting right across from President Woodrow Wilson, Mr. President, How Long Must We Wait? 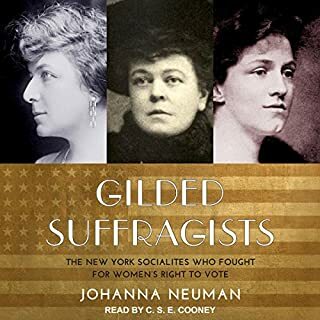 reveals the inspiring near-death journey it took, spearheaded in no small part by Paul's leadership, to grant women the right to vote in America. 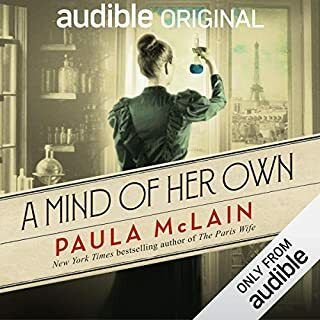 A rousing portrait of a little-known feminist heroine and an inspirational exploration of a crucial moment in American history - one century before the Women’s March - this is a perfect audiobook for fans of Hidden Figures. 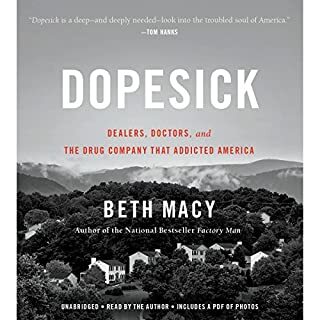 Every American of voting age should read this book. The book reads like a suspense novel. It tells an incredible story of perseverance. We all owe the women documented in the book and all the others who campaigned locally a huge debt of gratitude. It is a story everyone should know. Having studied World War I so extensively in the last few years, I found that this book added a depth and breadth to that era. 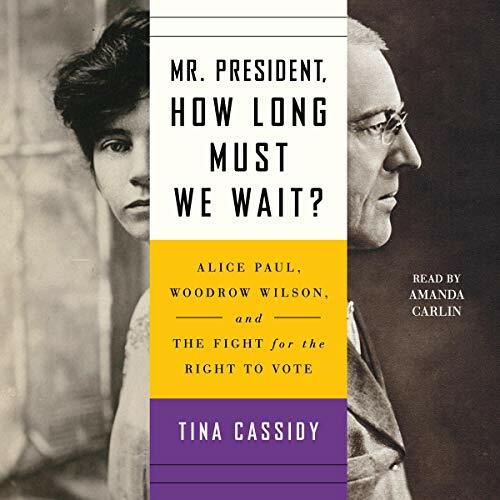 Alice Paul is a familiar hero of US women’s history, but this presentation of her life contrasted against that of Woodrow Wilson provides a great way to better understand both. For me, the choices made by Alice Paul and her colleagues were brave, bold, and perhaps a bit uncomfortable. But a protest that makes an impact, makes a statement, makes a difference - maybe really has to make people uncomfortable in order to do those things. Peaceful and pressing boundaries, we feel this in the efforts to impact change to this day. Overall it was a great and insightful reading providing an interesting set of subjects and an opportunity for education on important topics. I highly recommend.